PHOENIX Virtual Running is inviting you for a virtual run in Remembrance of those who gave so much in the Great War. 2018 marks 100 years since the end of WW1, so if you can't join us for our very special Remembrance Day Marathon, then please consider joining us 'virtually'. Choose your distance when you sign up. Note: We dispatch our medals twice monthly on the 15th and at month end. 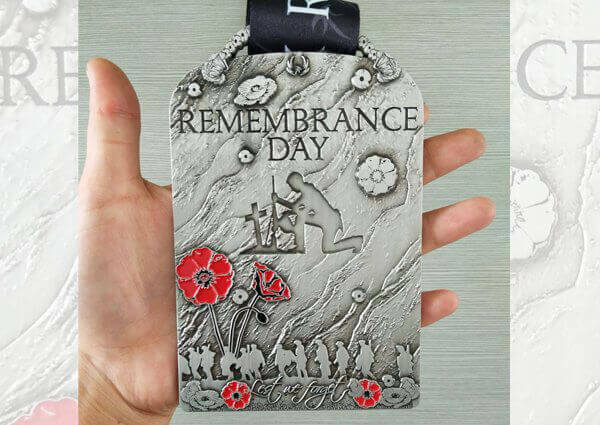 Medals for the Remembrance Day will be dispatched in late October / early November 2018. The medal for this event is one of our finest ever!